Properties in Parada average 4.5 out of 5 stars. 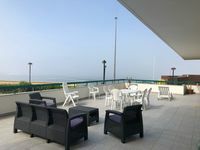 Vila Chã beach apartment / terrace, 2/4 peoples, sea views / barbecue / snooker table. 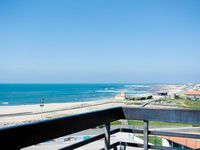 Property 7: Vila Chã beach apartment / terrace, 2/4 peoples, sea views / barbecue / snooker table. Wonderful view of the ocean. I enjoyed walking along the boardwalk. Very large patio area, great for outdoor eating.